The truth is stranger, and funnier, than anything you could make up. A Missouri man has legally changed his name to Led Zeppelin II. StLToday reports 64-year-old George F. Blackburn went into the Madison County Courthouse last fall to finalize the divorce from his third wife, when he decided make a fresh start for himself. Blackburn walked to the clerk's office and turned in the paperwork to do something he has wanted to do for years — change his name to Led Zeppelin II. "I reinvented myself," said Zeppelin. "Since I became Led Zeppelin, my life has improved a thousand fold." Zeppelin said he had a childhood fascination with zeppelins, and has been a fan of the rock stars since seeing them live in concert in Chicago in the late 1960s. It has been a love affair with their music since. 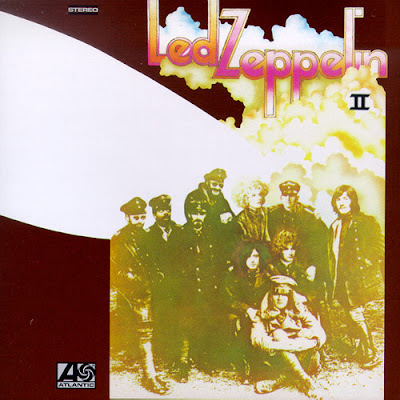 The "II" at the end of the name is after the band's second album, "Led Zeppelin II." "I don't want to appear to be some off-the-wall, drug-addict idiot," he said. "I just changed my name from the standpoint that I can be a better person than I used to be." He said it's a tribute to the music. "They changed my life, forever, and that's my whole reason for doing this." When some fellow Led Zeppelin music fans learn his name, he said, they buy him drinks and dinner. They say they admire him for having the guts to do it. Even his ex-wife is supportive, calling him L.Z. or Zep. Some folks still call him George instead of Led, and he said he's fine with that, too. "I want them to be comfortable."